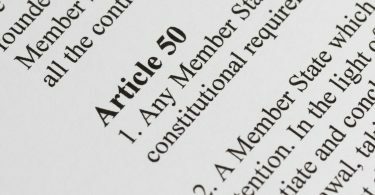 On 7 July 2018, Martin Howe QC, chairman of Lawyers for Britain, published a widely read memorandum with an initial assessment of the Prime Minister’s Chequers plan, based on the 3-page press statement issued by the government on 6 July 2018. Following the publication of the White Paper on 12 July 2018, he and other legal colleagues are producing a series of in-depth briefings about different aspects of the Chequers plan. In the first of this series, Martin Howe QC deals with the future jurisdiction of the European Court of Justice under the Chequers plan. At the core of the proposed permanent post-Brexit relationship with the EU is a ‘common rulebook for goods including agri-food’ (White Paper, §7a – references are to paragraph numbers in the White Paper, unless otherwise stated). This rulebook will be ‘common’ only in the sense that the rules decided on by the EU will bind the UK, but without the UK having the right which it presently enjoys as an EU Member State to vote on those rules. In addition, the White Paper commits to another ‘common’ rulebook for state aid (§7f), and a further ‘common’ rulebook consisting of the EU’s Customs Code and its rules related to safety and security (§17d). There is also another possible ‘common’ rulebook on electricity trading (§140). In addition to these ‘common rulebook’ areas where the UK would commit to exactly matching EU rules, there are wider areas in which the UK would commit “to maintain current high standards through non-regression provisions in other areas, such as environmental and employment rules.” Stripped of the verbiage, this amounts to an obligation to match existing EU rules covering these fields and not to “regress” from them. In a later briefing in this series, I shall be discussing the width of coverage of these ‘common rulebook’ and ‘non-regression’ areas, and will explain their impact on the ability of the UK government to make policy and of Parliament to make legislation. But in this briefing I want to concentrate on how ECJ jurisdiction would relate to these aspects of the Chequers plan. Before turning to the arrangements proposed in the White Paper, it is important to understand what are the normal arrangements for the settlement of disputes between parties to an international treaty. For those interested, this subject has been covered in depth and the principles explained in “Adjudicating Treaty Rights in post-Brexit Britain: Preserving Sovereignty and Observing Comity”, an in-depth paper by myself, Dr Gunnar Beck, and Francis Hoar. The main point to note is that independent sovereign states simply do not agree that their rights and obligations under a treaty shall be decided by either the courts or the non-judicial organs of the other treaty party. Exceptions to this are so rare that they positively stand out in history: for example, when China in the 19th Century agreed with a number of Western powers that foreign citizens operating in China should be exempt from the jurisdiction of Chinese courts and instead be subject to the jurisdiction of special extra-territorial courts set up by the Western powers. The British set up the Supreme Court for China, sitting in Shanghai and with appeal to the Privy Council in London, which had the sole right to try civil disputes between a Chinese citizen and a British merchant operating within China, or criminal cases in which Chinese citizens were the victims and British subjects the alleged perpetrators. These ‘unequal’ treaties understandably cause continuing resentment to this day. Instead, when independent states agree to submit disputes under treaties to binding adjudication mechanisms, they take care to ensure that the mechanism is independent of the other treaty party or parties and is balanced. A very common method is to establish a three-member arbitration panel where each party nominates one of the arbitrators and a neutral chairman is selected by a mechanism which is fair to both parties. Most of the EU’s external agreements with non-member states contain such mechanisms, for example the recent CETA free trade agreement with Canada. An alternative which States sometimes use is to submit disputes to a neutral permanent international court. The International Court of Justice (ICJ) is one such court, and many multilateral and bilateral treaties contain clauses submitting disputes to the jurisdiction of the ICJ. Interestingly for present purposes, the ICJ’s rules provide that a State which does not have one of its own nationals as a permanent judge of the court is entitled to nominate a judge ad hoc for the case, in order to balance up the unfairness that would result from one party but not the other having a national as a judge in a dispute. The ECJ is also capable of being such a neutral court – that is to say, it is neutral as between its Member States, all of whom nominate judges to the Court and participate in setting its rules. But when the UK leaves the EU, the ECJ will change its character. It will cease to be a multi-national court in which the UK participates as an equal member, and become a completely foreign court which will owe its loyalties entirely to the European Union and its Member States. It will therefore be contrary to near universal international practice, as well as demeaning to the status of the UK as a sovereign and independent state, to submit itself to the jurisdiction of that court after we have ceased to be a Member. But it should be understood that there is nothing wrong with the courts of the parties to an international treaty looking at each others’ judgments, reading them with mutual respect, and trying to be consistent with each other’s interpretation of the treaty if they can. This is indeed a general principle of international judicial comity on the interpretation of treaties which is applied by courts around the world. But what is critical is that the courts of one treaty party must not be bound to follow the courts of the other – only a neutral independent mechanism should be capable of being binding between the treaty parties. As has already been mentioned, almost all the EU’s external agreements conform with general international treaty practice, and non-member states do not as a rule accept binding jurisdiction by the ECJ. This goes even for the tiny states of Andorra and San Marino, entirely surrounded by EU territory, but which have conventional 3-member arbitration panels in their agreements with the EU. To this general pattern there are three anomalous exceptions. The first is the EU-Turkey customs union agreement. This obliges Turkey in its own law to follow the jurisprudence of the ECJ on customs matters and related areas such as competition law. However, it does not create any power for the ECJ bind Turkey in proceedings to which Turkey is a party. The second exception is the case of Norway, Iceland and Liechtenstein, who are EFTA member states and are connected to the EU via the European Economic Area (EEA) Agreement. This makes them effectively part of the EU’s internal market (often known as the “single” market). The original draft of the EEA Agreement provided for the setting up of an “EEA Court”. The EEA Court would have been a joint body consisting of 5 ECJ judges and 3 EFTA State judges, with the presidency held alternately by one of the ECJ judges and one of the EFTA state judges (Draft EEA Agreement, Art.95). 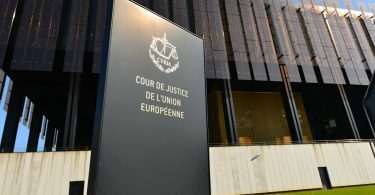 This joint court structure would have reflected the principle that states should not be bound by the rulings of foreign courts in which their nationals do not participate, since the EEA States would have nominated judges to the court and one of their judges would have presided alternately to an EU judge. However, this proposed EEA Court structure fell foul of the ECJ, which ruled in its formal opinion in Re the EEA Agreement (Op 1/91) that the EEA Court would effectively bind the ECJ when the ECJ came to the interpretation of internal Community law, and that this possible dilution of the ECJ’s own judicial sovereignty was incompatible with the European treaties. Faced with this setback, the judicial mechanism in the EEA Agreement was changed to replace the originally envisaged EEA Court with the EFTA Court which now exists. The judges of the EFTA Court are nationals of the three EFTA States who are EEA Members. (Switzerland is also an EFTA member, but it is not in the EEA and it has no involvement with the EFTA Court). The EFTA Court is formally separate from the ECJ and from EU institutions, but it does in practice follow the case law of the ECJ. So in the case of the EEA States, we see a system where their own EFTA Court indirectly transmits ECJ jurisprudence to them in order to secure harmonised interpretation of European single market rules within the EEA States. However, the system carefully preserves the formal dignities of the non-EU EEA States by not subjecting them against their will to the direct jurisdiction of the ECJ, a foreign court. The EU Association Agreements of the former Soviet republics of Ukraine, Moldova and Georgia contain wide-ranging obligations on these former Soviet states to progressively harmonise their laws with EU law, as a condition of being granted free trade access to the EU market and in preparation for their hoped-for eventual membership of the EU. In interpreting this transposed EU law, they are required to take “due account” of the case law of the ECJ. This obligation is set out for example in Art.273(2) of the EU-Moldova AA: “due account shall be taken of the corresponding case law of the Court of Justice of the European Union and the implementing measures adopted by the European Commission, as well as, should it become necessary, of any modifications of the Union acquis occurring in the meantime.” The Ukraine and Georgia Agreements contain similar provisions. 1. The procedures set out in this Article shall apply to disputes concerning the interpretation and application of a provision of this Agreement relating to gradual approximation contained in … [lists areas covered] of this Agreement, or which otherwise imposes upon a Party an obligation defined by reference to a provision of Union law. These provisions mean that what could be key questions in a dispute between one of these countries and the EU would be decided not by their own courts or by a balanced international arbitration panel, but instead would be decided by a foreign court. Why did these countries agree to go along with adjudication clauses so at variance with international treaty practice? The first reason is that these former Soviet republics, very poor and under threat from Russia, were completely desperate to secure agreements with the EU and therefore willing to submit to almost any terms. The second reason is that if you aspire to membership of the EU, at which point you will have to obey all the judgments of the ECJ in any case, then obeying them in advance as you conform your laws in preparation for EU membership does not seem that much of a hardship. The position of the UK as a departed member of the EU is of course completely different. The White Paper is rather surprisingly – or perhaps, rather unsurprisingly – shy about the origin of the adjudication mechanism to which it proposes that the UK shall submit itself. The only mention of the EU-Ukraine agreement is at §8, where it is listed among a number of agreements – Canadian CETA, NAFTA and ASEAN – which it lists as precedents which have been drawn on in constructing the Chequers proposals. The Moldova and Georgia agreements are not mentioned at all. However, this apparent attempt to be less than forthcoming about the source of the adjudication mechanism is undermined by the fact that the government’s paper “Enforcement and dispute resolution” published in August 2017 referred (at §s 55-58) to Article 403 of the EU-Moldova Association Agreement in a section of the paper headed “Provision for voluntary references to the CJEU for interpretation”. As will be explained below, this mechanism for references to the ECJ is definitely not voluntary: it is compulsory if a dispute involves interpretation of the EU law which Moldova must follow, and Moldova cannot block a reference taking place. It is interesting to note that someone within the Whitehall machine had apparently identified this rather strange and demeaning Moldovan procedure as way of getting the United Kingdom to submit to ECJ rulings as early as August last year, and that it has now been adopted as government policy. The last Delphic and seemingly self-contradictory sentence is extremely important, and needs to be carefully unpacked in order to be understood. Therefore it is impossible to implement the White Paper’s proposed “joint reference” procedure without the ECJ’s rulings being given binding effect. The UK would then need to alter its law to comply with the ECJ’s ruling and would necessarily have to overrule any contrary judgments of the UK courts on the interpretation of a UK law in the ‘common’ rulebook area. It is helpful to understand how this would work by taking the practical example of the latest judgment the ECJ has just handed down about Dyson’s complaints about unfair EU rules on energy labelling for vacuum cleaners: Case C-632/16 Dyson Ltd v. BSH Home Appliances (Fourth Chamber, 25 July 2018). Dyson’s complaint is that the official EU energy tests require vacuum cleaners to be tested only when they are empty of dust. In vacuum cleaners with bags, the pores become clogged as the bag fills with dust, so energy consumption rises. Dyson’s bagless designs do not suffer from this problem. But the official EU energy tests mean that the energy rating of bagged designs is unfairly and unrealistically tested only at the point when they are empty. This latest ECJ judgment in fact concerned both consumer law rules about what information should be presented to the consumer at the point of sale, and also rules about what must go on the energy labels which must be provided on or with the vacuum cleaners. These rules are cross linked with each other. In the next briefing in this series, I shall be looking at what EU laws will fall within the scope of the ‘common’ rulebook as envisaged by the Chequers White Paper, and will point out that it will be very difficult to disentangle rules about what labels should go onto goods from wider rules about how goods should be marketed. But for present purposes I shall concentrate on the EU rules about what information must be put on labels supplied on or with the goods. These rules must necessarily fall within the Chequers proposal for the ‘common’ rulebook, since vacuum cleaners would be crossing the UK/EU border without control and so must have correct EU-compliant labels when they are released onto the UK domestic market. Now let us suppose that the UK has decided, after we leave the EU, to permit such information to be provided on energy labels in order to give a level playing field to UK based industry and to allow consumers the information which they need to make a properly informed decision. The EU Commission would raise a complaint under the disputes procedure, which intially would go to the Joint Committee. a political body. But this would not be resolvable by the Joint Committee, because the question would not be a practical or political question but a legal one of whether the EU’s rulebook permitted goods bearing such labels to be placed on the market. The Commission would elevate the dispute to the arbitration panel, which is (at least supposedly) independent. However at that point, the arbitration panel will have no choice but to submit the question of whether labelling these goods in the way permitted by UK law is contrary to EU law to the ECJ. The UK’s consent would not be required and the UK would have no veto against this happening. The ECJ would then rule on the question and send the answer back to the arbitration panel. The panel is then bound by the answer it receives, and is bound to give a formal judgment in accordance with the ECJ’s ruling. The arbitration panel’s function is thus very similar to that of the UK Supreme Court (or other Member State supreme court) under the current preliminary reference procedure. The national court is responsible for finding the facts, and for giving the formal judgment at the end of the case. It is obliged under Art.267 TFEU to refer an issue of EU law which affects the outcome of the case to the ECJ and is then bound to give judgment in conformity with the ECJ’s ruling. The arbitral panel will be in the same position: it will find the facts, and formally give judgment at the end of the case, but if the substance of the dispute is about the interpretation of the EU rulebook in the ‘common’ areas then the ECJ and not the arbitral panel will effectively decide the substance of the case. The arbitral panel will just act as a postbox and a rubber stamp issuing a formal judgment at the end in line with the ECJ’s ruling. 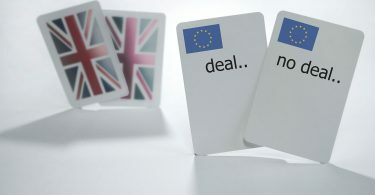 Thus the last sentence of §42 of the Chequers statement – “This would respect the principle that the court of one party cannot resolve disputes between the two” – is only true in the sense that the arbitral panel would apply the rubber stamp on the final judgment, but in substance it is completely untrue. The ECJ, the “court of one party”, will be the effective decider of the case whenever the issue is about the interpretation of the EU rulebook in one of the ‘common’ areas. This has very wide ranging implications for the future autonomy of the UK. Signing up to the ‘common’ rulebooks would mean not only that the UK is bound by the EU rules as they stand today, but also would be bound to comply with future changes to the rulebook which result from later ‘interpretations’ of the EU rules by the ECJ. It appears that the government envisages a (proably theoretical) right for Parliament not to accept into UK law future legislative changes to the EU rulebook. But this would have no application to potentially damaging changes to the EU rulebook resulting from judicial ‘interpretations’ by the integrationist and policy-driven ECJ. Although the phrase “due regard” does not explicitly make ECJ rulings binding on UK courts, our courts will interpret this obligation in the light of the existence of the joint referral mechanism. They will reason that there is no point in them departing from EU case law, even if they disagree with it, since it will just end up in an arbitration in which the issue will be sent to the ECJ whose ruling will then be binding on the UK. The White Paper at §35 explains that UK courts would no longer be able to make direct references to the ECJ. However, given the way in which the obligation to “pay due regard” coupled with the joint referral mechanism at the international level will completely hog-tie UK courts to the ECJ’s jurisprudence, it is hard to see that the absence of preliminary references will result in any greater autonomy of decision making. However this is the government’s opening offer and it remains to be seen how far it will maintain this line in negotiations with the EU. 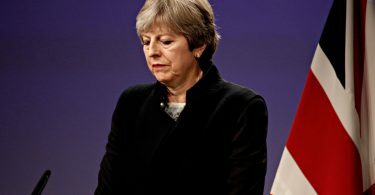 The government has already conceded that there shall be ongoing direct effect of the UK’s treaty with the EU, and supremacy of that Treaty over Acts of Parliament, for EU citizens’ rights under the withdrawal agreement. 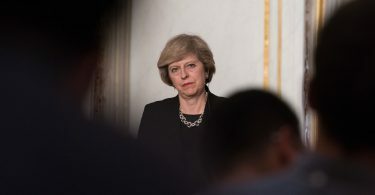 Most people have not yet realised that this concession will require Parliament to re-enact the equivalent of ss.2(1) and 2(4) of the European Communities Act 1972 providing for the automatic disapplication of earlier or later Acts of Parliament if they are judged by the courts to conflict with EU citizens’ rights. This direct effect and supremacy obligation is not time limited and will have effects for the whole lives of EU citizens with acquired rights to reside in the UK. The government has also conceded that there shall be a preliminary reference procedure direct from UK courts to the ECJ in litigation about EU citizens’ rights commenced within 8 years of the end of the transition period. It is yet to be seen how firmly the UK government will hold the line against extending direct effect and preliminary references from UK courts from EU citizens’ rights into the ‘common’ rulebook areas once it comes under negotiating pressure from the EU. 38. Where the UK participated in EU bodies or agencies, this would involve a number of commitments. First, it may be appropriate for the UK to make a financial contribution, the form and structure of which would depend on the type of working relationship agreed. Second, the UK would respect the rules under which those bodies or agencies operated. Third, the UK would respect the remit of the CJEU such that if there was a challenge to a decision made by an agency that affected the UK, this could be resolved by the CJEU, noting that this would not involve giving the CJEU jurisdiction over the UK. The last sentence of that paragraph again contains tortured and self contradictory language. It is probably easiest to understand what this really means by considering one the agencies concerned, the European Medicines Agency (EMA). The EU system for the licensing medicines is operated by national authorities in each Member State, including the MHRA in the UK, and the EMA which is an EU agency. There is generally a choice to apply for a licence for a medicine from the national authorities or from the EMA, except in some specialised areas of medicine where the application can only be made to the EMA. A licence granted by the EMA has effect throughout the EU. Most decisions by the EMA are highly technical evaluations of the safety and efficacy of medicines. There is much sense in the UK continuing to collaborate with that agency after we have left the EU, but on a non-exclusive basis for reasons that I shall explain. And since the EMA is set up under EU law, we cannot realistically expect the EU to agree to exempt the whole agency from the supervising jurisdiction of the EU General Court and the ECJ. But it simply does not follow that we must therefore submit to those courts having jurisdiction in any way over the UK. We can perfectly sensibly follow EMA decisions on licensing of medicines as the normal rule, so long as the UK’s own Medicines and Healthcare products Regulatory Agency (MHRA) has the power to depart from EMA decisions in the UK by choosing to license drugs which the EMA has refused, or to refuse drugs the EMA has licensed. But it appears from the Chequers White Paper that the government’s proposal is that the UK would simply slavishly follow the EMA’s decisions even though the UK would have no vote on its Management Board, while the MHRA would continue to act as if it were a Member State licensing authority (§30(c)). Let us consider the case of a British company which seeks a licence from the EMA in order to place a new medicine on the market. If the EMA decides to refuse the licence, or to revoke a licence previously granted, this has the effect that the medicine will be banned from the UK market. There will be no recourse to any UK court to judicially review the EMA’s decision. The British company’s only recourse will be to a foreign court, the EU General Court (formerly called the Court of First Instance), which is the junior branch of the ECJ. It is assumed by the ignorant that EMA rulings are all technical in nature so it does not matter of supervision of them is outsourced to a foreign judicial system. It is true that most EMA rulings are technical, but not all are by any means. 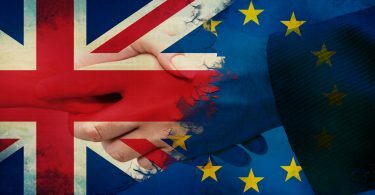 This means that decisions governing the grant or refusal of medicines within the UK will be taken in part on the basis of policies related to the internal functioning of the EU’s single market of which we will no longer be a member and when we may no longer share the policy objectives which affect the judicial decisions which will still apply to us. While it may well be sensible to retain links with the EMA after we have left the EU, and the EMA will inevitably continue to be subject to the ECJ’s oversight, it is essential that we should retain the right to diverge from the operation of the EMA’s decisions within the UK. Indeed, once we have left the EU, we will have the opportunity of following Swiss law and allowing the MHRA to license drugs on the basis of safety assessments made by the US Food and Drug Administration and other competent regulatory authorities around the world, so dramatically cutting the regulatory costs of bringing drugs to the UK market, and allowing British patients to have access to new drugs more quickly. Such a system would not involve accepting the jurisdiction of US courts, any more than of the ECJ. 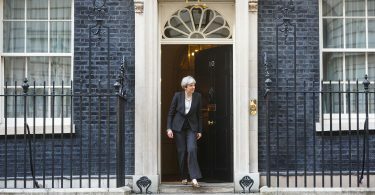 It is clear that the Prime Minister has now broken the pledges she made in the Manifesto and in the Lancaster House speech. Within the ‘common’ rulebook areas at least, it is quite clear that the interpretation of the laws applying within the United Kingdom will continue to be carried out by the judges in Luxembourg, with judges in the UK having only a subservient role. As we have seen, UK courts will be required to “pay due regard” to Luxembourg Court decisions when they interpret and apply the ‘common’ EU rulebooks within the UK. They are likely to interpret this obligation as being bound in practice if not in theory to follow ECJ rulings. If UK courts for any reason do depart from ECJ rulings, the UK will be forced to pass legislation to overrule them via the Ukraine/Moldova/Georgia joint reference procedure which makes the international arbitration panel subservient to the ECJ on ‘common’ rulebook matters. The ECJ will have direct jurisdiction to bind the UK to make its law comply with the EU rulebook as interpreted by the ECJ via the Ukraine/Moldova/Georgia joint reference procedure. 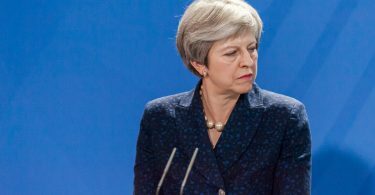 The ECJ will be able to make binding rulings which control the activities of UK businesses on British soil via its jurisdiction over the EU agencies to which the UK will submit under the Chequers plan. In the Prime Minister’s terminology, this amounts to ending its jurisdiction “in” the UK. This is sophistry at best. It is unlikely to convince any of the 17.4 million people who voted to leave the European Union that their vote is being respected.